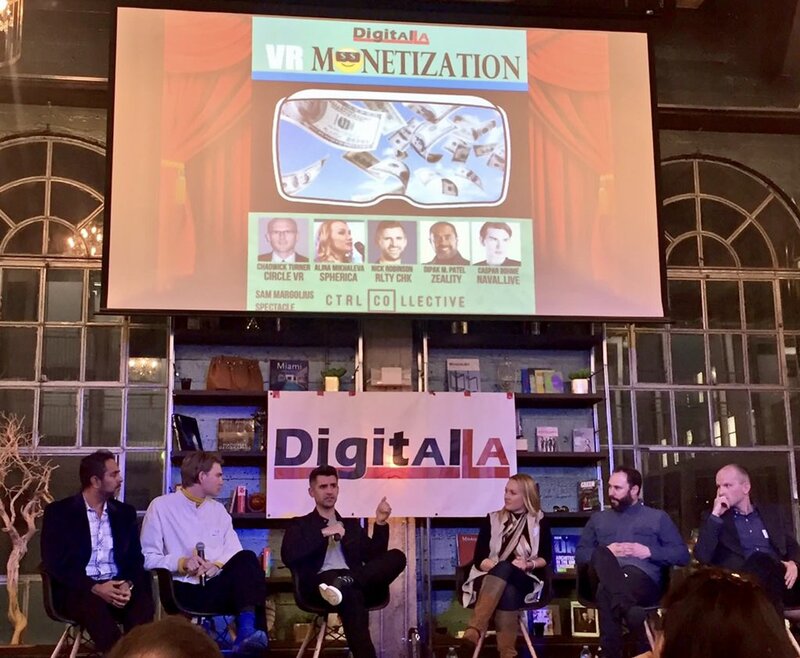 DOWNTOWN LA – Our advanced level VR experts discussed more than a dozen ways for VR to make money for 2.5 hours at our first VR Monetization panel on Tuesday night at CTRL Collective Downtown LA. Our discussion focused on beyond beyond VR production and raising/spending VC money. – VR Production: Getting paid by a brand, advertiser or Hollywood studio is the most common way for VR companies to make money. However, this VFX-company based model of one-off projects is very B2B and not very scalable to support large growth of the VR industry. – Distribution Deal: Alina of Spherica does VR production to pay the bills, and let her create a high end VR series that she will make revenue via distribution deals when there’s a distribution channel for consumers. – Advertising: 360 and VR ads promote brands via load-screen logos to full VR experiences. Example: Instead of a watching trailer for a movie or product, create a mini-VR world for people to explore. Virtual Sky also has a VR advertising model. 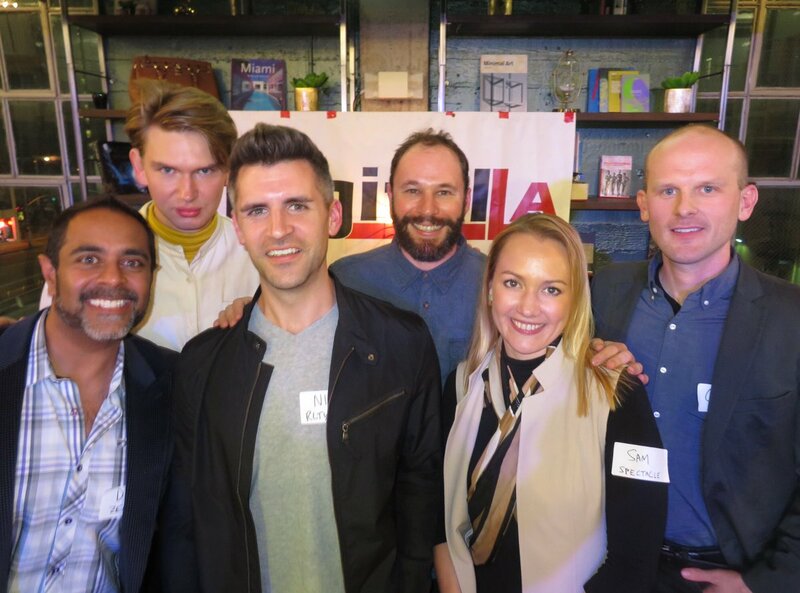 – VR tools and services: Dipak of Zeality creates VR tools that let you record your VR experience in a VR world, and share with friends, with reaction vids. – Pre-Vis: Several VR companies are charging movie studio to build VR environments for directors and VFX team to enter as avatars to see how things will look in the world, and make changes in real time, rather than render and wait for feedback. – Statistics: Just like Nielsen for movies, a VR stats company which could charge for reports on VR demographics, games sales, and other reports. – Venue: IMAX VR is an arcade currently open by the Grove, where you can pay $10 to try VR experiences from Star Wars to John Wick. You can pay $55 to try the Ghostbusters VR at Madame Tussauds New York Times Square (including museum admission). Weirdly, there are no other location VR arcades in LA or NY. Spielberg announced he’s launch a VR arcade at a mall in LA (we bet Century City) soon. – Tickets: There could be a ticket seller that sells tickets to multiple venue-based VR experiences, like a Fandango for VR. Or existing movie ticket services could start to add VR experience as an option, much like 3D or IMAX. – Subscription: Netflix for high quality VR service (can someone create that?). Other subscription models include B2B access for VR services and tools, or consumer access to content. More VR monetization tools in the video.